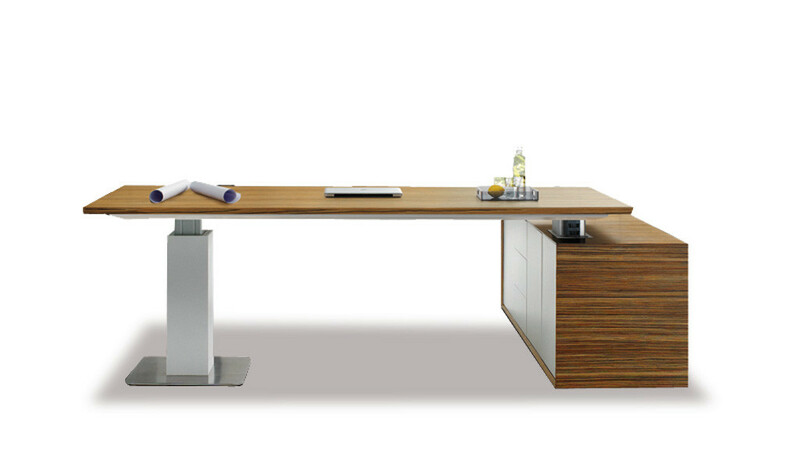 Height adjustable office desk with side cabinet. 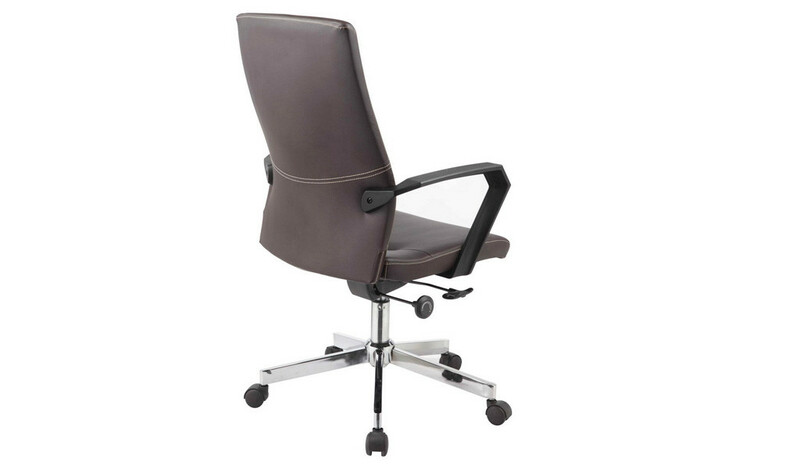 Contemporary design, inbuilt motorized height adjustment mechanism, smooth and quiet operation at the flick of a button, light oak laminate finish with metal leg in powder coated finish. Includes modesty panel, coil tube and cable tray under desktop. – This office desk comes looks best in the original Virginia walnut laminate. 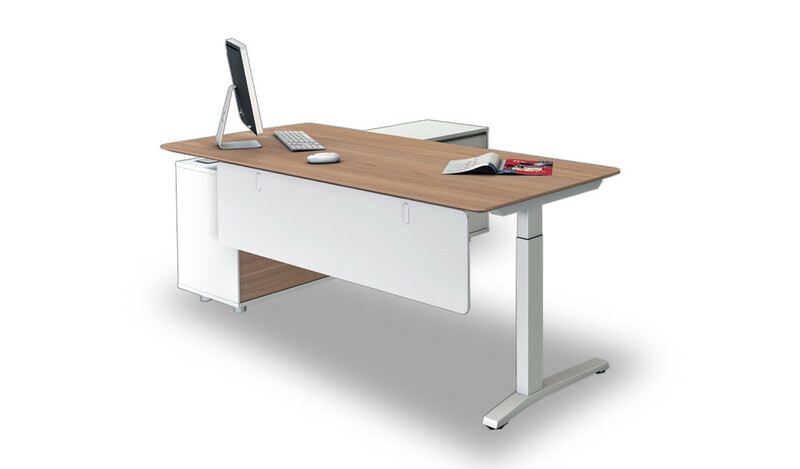 – A medium sized executive desk with motorized height adjustment function. 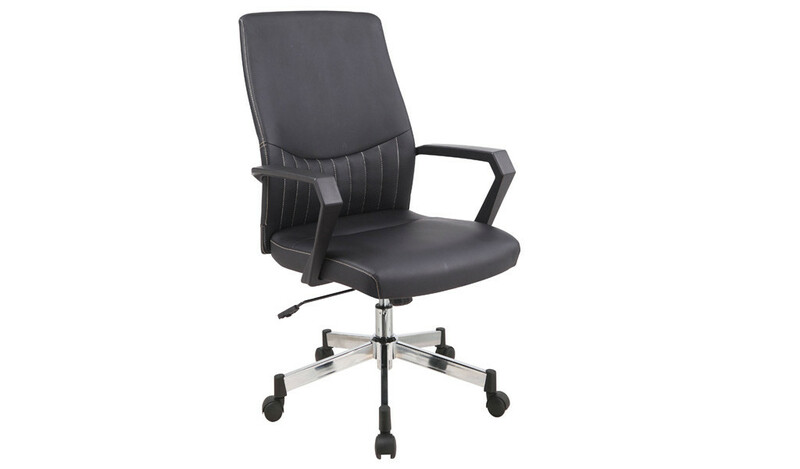 Designed with a side cabinet and inbuilt wire management it is a perfect choice for the dynamic CEO, architect or engineer who likes to work standing up. 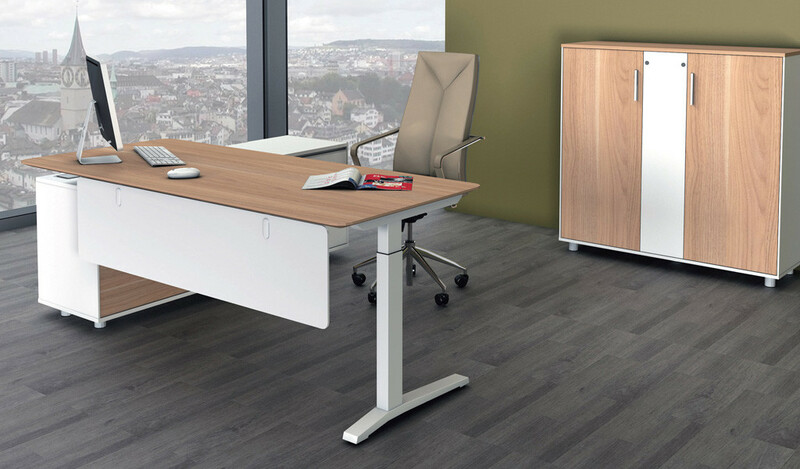 – Main desk with electric height adjustable tabletop, side cabinet and a wire box for organizing your power and data cables. – Made using environment grade MDF and laminate. The E1 rated engineered wood is a highly durable material and a world standard for premium furniture while the laminate is from our carefully selected range of premium natural wood veneers with consistent color and grain structure. 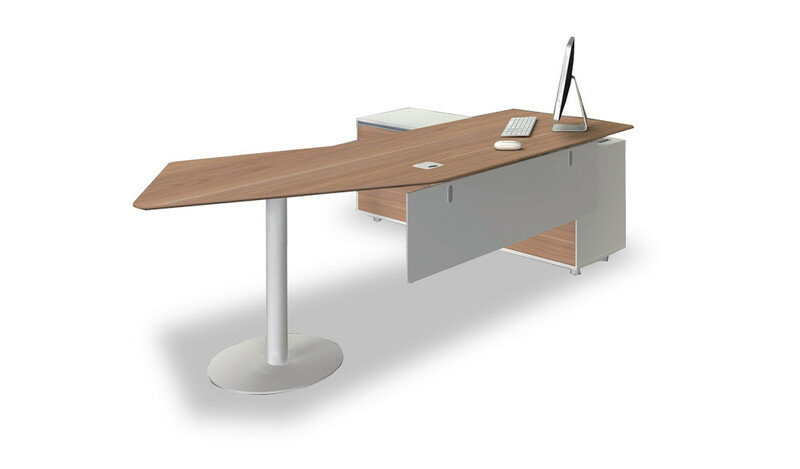 – Designed with a motorized height adjustment mechanism this laminate finished executive desk includes a side cabinet too. This plug and play 6.5 feet, height adjustable office table also has an inbuilt wirebox for a clutter free work surface. Crafted with the highest quality of materials for lasting durability, natural feel and luxurious looks it is a perfect choice for a modern office cabin. It is part of the iPlus series from which you can choose an entire range other products like workstations, cabinets, conference tables etc. Download the catalog to see the entire collection of this series.